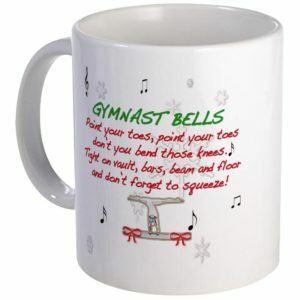 Are you planning on gifting your dear gymnast friend something special this festive season? Or maybe your little one is taking her first steps into this domain of gymnastics? 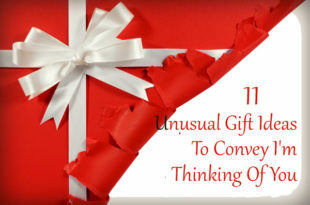 Well, in such a scenario, a unique gift is a must! 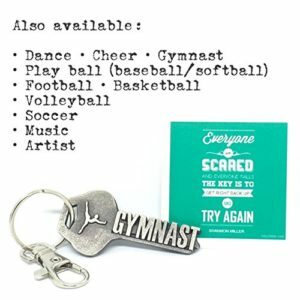 In case you think what could be that ideal gift that would be perfectly suitable for a gymnast, then it is time for you to check out this range of unique gifts for gymnasts that is presented! 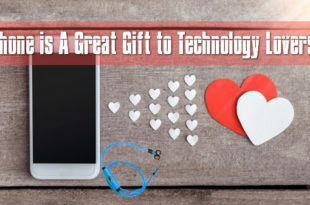 Since, unlike others, it is believed that a gymnast would want certain gifts that would suit his or her persona and most importantly, can be used by them on a regular basis; it is time to check out certain gifts that are specifically personalized just for them. Does that gymnast of yours a complete fashionista on and off the field? If that is the case, then, this range of gifts is just as gorgeous as the person himself or herself! Most importantly, these are gifts for gymnasts on different occasions; hence, it can be used by them in multiple situations! Time to check these out! 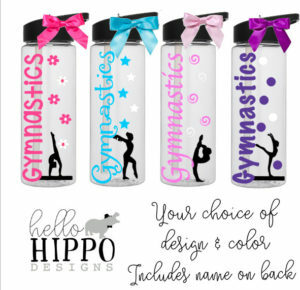 Coming in a number of colours, these bottles are one of the best gifts for gymnasts! Carrying water on a regular basis is a must for them. So, is it not interesting that they carry it in bottles that are specifically made for them. The designs are made by using high-grade outdoor vinyl and the image, font and embellishment can be ideally chosen by them. 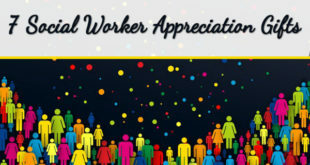 Gift your near one now! Are you helping setting up a new house for that gymnast friend of yours? Does he like it to be customised and stylish? Well, why not gift him wall decals and door decals, specially customised with a gymnast print? This customised deluxe set has a combination of both wall and door decal, and it would simply look ravishing with a nightlight for company! This is just one of the most unique gifts for gymnasts. Does she love dressing up? Want to gift her something that would add on to that gymnast persona of hers? 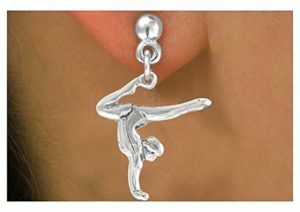 Well, this charming earring is made of nickel earrings, depicting a lady in the best gymnastic format is the one to go for! As one of the gifts for gymnasts on different occasions, this could surely light up her look both on and off the field! Managing time schedule and maintain a strong determination is a must for every gymnast. In that case, a specifically customised wall clock with stickers of gymnasts all over the base is one of the best gifts for gymnasts. As he or she practises for the next game, this would remind her or him of the time frame. 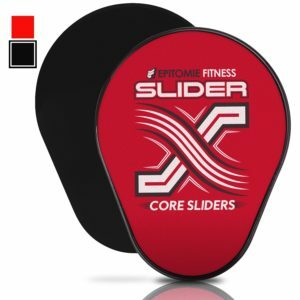 So practise your game in style! A gymnast has a host of things to keep and it is important that those should be kept safely. In such a scenario, how about gifting that oh-so-forgetful gymnast friend of yours a mini-locker? As one of the most unique gifts for gymnasts, this can surely be of great help to him. This includes not only a padlock, but also removable drawers which can hold all your keepsakes in an ideal manner. So keep your stuff safe this year and that too in style! Does your little girl like to enjoy this sport with style? Well, how about a customised keychain with a quote this festive season? As a verified and lead-free metal, this is just perfect for managing your keys in style. So, just tag these along, and make sure that the world knows that gymnastics can be done in and with style! In case you are looking to gift a piece of good luck charm to a gymnast friend of yours, then nothing can beat this wonderful little 14k gold customised gymnast pendant. 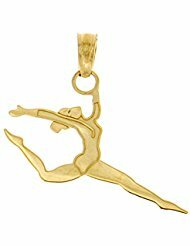 With a specific gymnast charm theme, this gold pendant is one of those gifts for gymnasts on different occasions. So, whatever be the occasion, make sure that you gift luck to that gymnast friend of yours! For a stylish gymnast, this would just be that perfect one! Made from durable poplin polyester fabric, this is one customized drawstring backpack for gymnasts, where they can carry their very valuable things and that too in style! 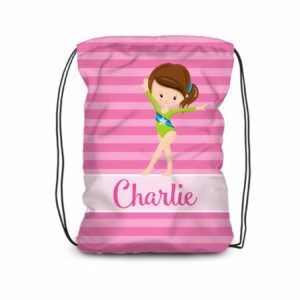 With customised colour, font and text being available, this gymnast written backpack can be carried for all occasions and surely makes one of the best gifts for gymnasts. So, if you are looking for gifts for the really stylish gymnast, this backpack is your catch! Who said a gymnast cannot be stylish enough? Well, regular usage of foot creams is a part of a gymnast’s life. However, a specific anti-fungal foot cream with tea tree oil added to it is one important cream that can be used by gymnasts to get that special care and that too in style. Help them keep the world at their toe! For a gymnast losing out a game is a regular affair. However, style of a true gymnast is revealed in the manner in which he or she takes up this challenge and moves ahead. 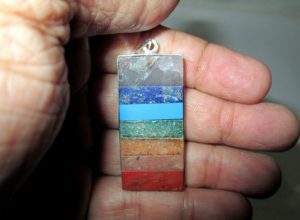 How about gifting a positive approach pendant with a divine touch that would help heal her mental wounds and also not compromise on her style quotient? As one of the best gifts for gymnasts, this is just perfect! Does that gymnast daughter of yours adore her collection of tees? 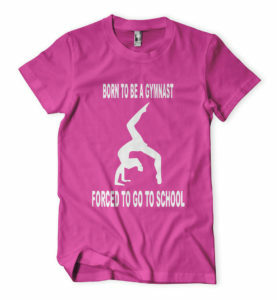 This festive season gift her customised gymnast tee! There are a host of things that are required by gymnasts on a regular basis. 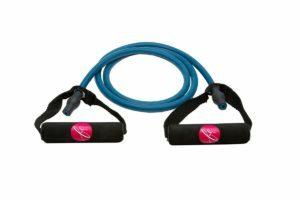 Starting from relaxing of the body to calming of the mind in a specific gymnastic loving style, here is a list of unique gifts for gymnasts that could be used on a regular basis by them. Pick one as per your choice. For a practising gymnast, it is extremely important that he or she constantly maintains his or her body flexibility. 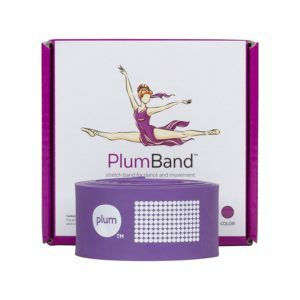 Specifically prepared for dancers of both petite frame and heavy one, this plum band is just the ideal one to improve the body flexibility and ensure that in case of professional programs, this is the one to check out for regular practices. 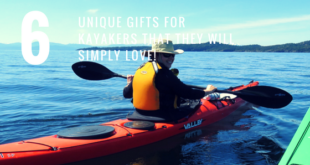 As this is comparatively lightweight and can be carried at any place, hence, it perfectly works for carrying in those long tours and regular practices. Coming in a gift-box, this is one of the most perfect gifts for gymnasts. Check out its usages now! A cup of coffee after a hard day of training is a must! Well, how good the coffee mug would be if it comes in a customised colour changing mug with a personalised printed message that reminds you of your identity. This ceramic cup gives a classic coffee mug appearance, with prints or photos customised on it as per your choice. So, what are you waiting for? As one of the gifts for gymnasts on different occasions, this is the one to look out for! In case you know any gymnast on a personal note, and you have visited his or her house quite often, you must have noticed the calm atmosphere that is prevalent in that house. Why not gift him something that could help in enhancing the atmosphere of his house or his practise room? 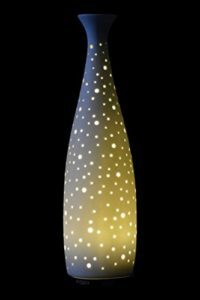 This humidifier coming in a ceramic vase design is protected from any chances of overheating and can be placed at any corner of the house. Only a little water and few drops of essential oil needs to be added to ensure that the aroma is spread all around as the practising gymnast sits for his or her meditation or other therapies. Truly one of the most unique gifts for gymnasts! For people who have known gymnasts from a very close front, you must have seen the various therapies that they have to undergo in order to maintain themselves and perform the best. In that case, how about gifting a set of essential aromatherapy oils set for this process? 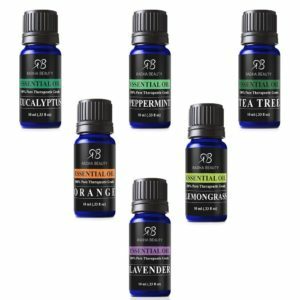 Coming in a set of 6, these contain some of the basic flavours as tea-tree, eucalyptus, peppermint, lavender, lemongrass and sweet orange. This set can be used for spa purposes as well as for general inhaling! For a gymnast, this regular body cleansing is a must! So next time you are searching for gifts for gymnasts on different occasions, be sure to keep this set at the top! 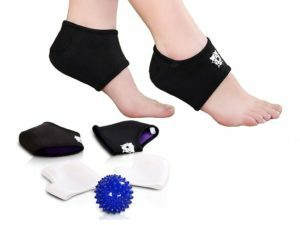 Maintaining a healthy body and most importantly healthy toes is a must for every gymnast, and nothing can do the job better than a handheld acupressure massager. 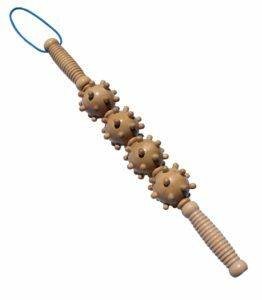 Created by using the finest of Indian rosewood, this product of 12×2.5×2.5 inches is one massager that helps in applying pressure to those points that require them the most. Based on the science of reflexology, this acupressure massager is perfect for ensuring that great relief is provided to areas that have highest contact with the floor. 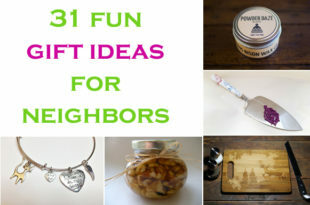 So, if you are planning on gifting something unique yet useful to your gymnast buddy, then this truly could be the best gifts for gymnasts. Are you searching for a product that could help heal your dear ones legs after a long day of practise? Well, a detox bucket is all that is required! 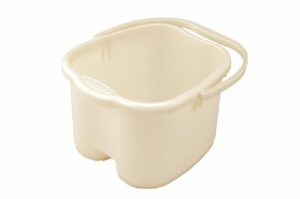 This plastic detox spa bucket has bumps at the bottom that helps in better soaking of the soles and ensures that your feet and soles get that required treatment after a long and hard day! On an additional note, you can add on some essential oils and make sure that your soles get that required freshness. Gift your dear one this unique spa bucket this festive season! In case you are looking for gifts for gymnasts on different occasions, then nothing can beat the help that a foot arch support provides to them! This pair of plantar fasciitis therapy wrap is a great option for relieving foot pain and protecting heels. 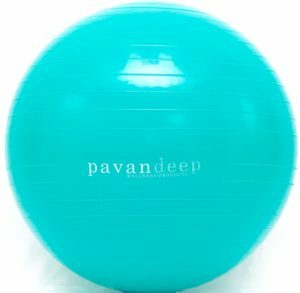 For a gymnast, maintaining health of his or her body is of prime importance, and gifting a stability ball for enhancing his or her daily exercise routine is the perfect way to show your love for that person. One of the best gifts for gymnasts! Maintaining a proper body and ensuring that the person remains fit 24×7 is quite a difficult feat. These therapy bands are of great help in ensuring that after a long and tiring day at practise, a gymnast can just personally relieve his or her body of the stress. A great buy for sure! Is that gymnast friend of yours just too tired to visit the gym on a regular basis? Well, in that case, this home exercise kit could be one of the most unique gifts for gymnasts! With its adjustable discs and ropes, maintaining a routine is no big deal! Not many people are aware but gymnastics to a great extent requires core body building to a great extent. What is that core exercise routine is followed at home? With help of this power discs workout becomes easier. So, this festive season gift this ergonomic pair to your dear gymnast friend! If your dear gymnast daughter does not wish to regularly visit a masseur after a practise session, this festive season you can surely gift her cordless back massager to make sure that she gets that personal dose of massage back at home. Truly one of the best and unique gifts for gymnasts! 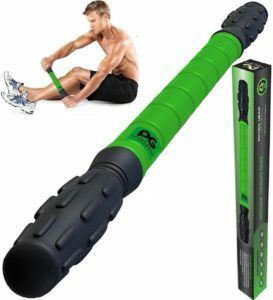 For a gymnast, maintaining his or her body flexibility is a must and this fascia massage stick that has an additional cellulite buster added to it is surely a great boon. This helps in breaking up the fat cells and improving body flexibility. Facing a muscle pull for gymnasts is not an issue. 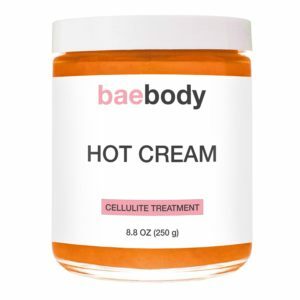 To help in improving his or her condition gifting a hot cream for easing this pain can surely be called one of the best gifts for gymnasts. In case your dear son faces muscle pull after a hard training, constantly popping pills is not a good idea. In that case, gifting him a muscle roller stick that helps in easing compressed joints and loosens stiffening of muscles is a great idea. Shop now! Wearing comfortable clothes while training is on or during performance is one of the most important aspects. For a gymnast this holds true to a great extent. This set of sports bra is just the perfect one! 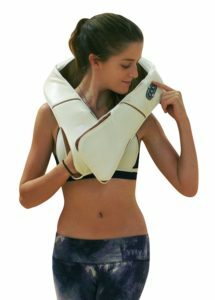 A much needed cover up during practise as well as performance sessions, this knee sleeve support is just the one that can be one of the best gifts for gymnasts on different occasions. Get these now! How about gifting a gymnast a pain relief technique all in a pack? 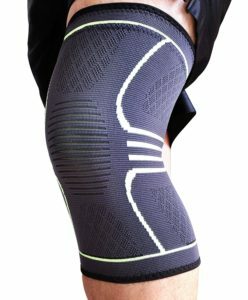 With this knee strap support, you can gift an ideal way to ensure that any type of internal pain and compression gets reduced in a jiffy! 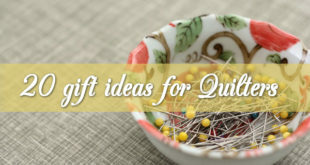 Are you just too tired searching out unique gifts for gymnasts? Wish to have something that can be really used by them at every step and ease their pain? 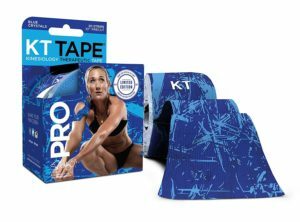 This strip cut therapeutic tapes are of great help especially in areas that require constant protection. How about helping your gymnast friend stay in shape always? 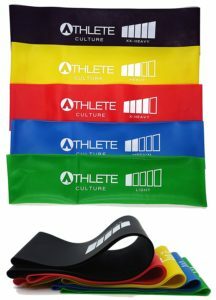 This loop band set can be used for tailoring your workout schedule as per your needs. 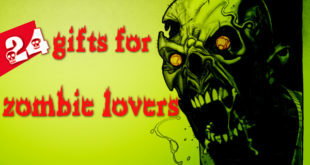 Gift these now! In case your budding gymnast friend starts off with his exercise at any given place, make sure that these loops are always there with him. 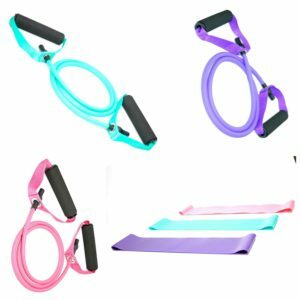 These exercise loops can be used for maintain body resistance and is an ideal workout tool. Is your little gymnast daughter nursing an injury? Is she on the path to recovery? Help her in this process by gifting her compression socks that enhance this recovery process. truly one of the best gifts for gymnasts! Being a gymnast, travelling is a part of their daily schedule. With those long hours in flight, getting a sprain in the neck is quite common. 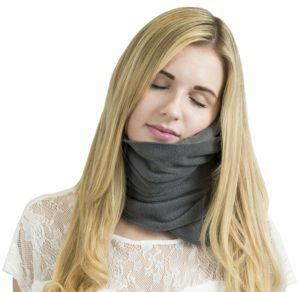 Gift your dear friend a travel pillow that will keep the neck in place. One of the best gifts for gymnasts! In case your child has to perform while his tapes are on, it is best that maximum care be taken to ensure that they do not come off! 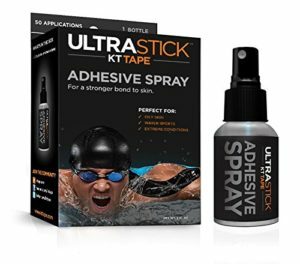 With this waterproof spray, your tapes will stay in place as you keep performing! 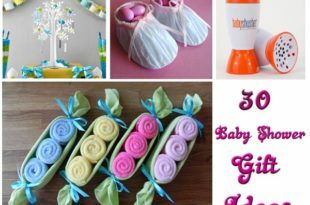 Here is a list of unique gifts for gymnasts that would make your choice easier!